TQ Series front Shockwaves for 04-up Charger, Challenger, 300C & Magnum. Sold as pair. Our patented solution for a simplified air suspension system just keeps getting better. The ShockWave® mounts just like a coilover and replaces the coil-spring with an adjustable air spring for a huge range of tuning options. It provides a simple, high-tech way to provide the ultimate in adjustable suspension design. With more configuration options than ever before, the ShockWave is the premier foundation for a RideTech air suspension system. The Track Quality ("TQ") series features triple adjustable shock valving. It is housed in an impact forged aluminum construction. The TQ series is available in a wide range of stroke lengths, and mounting styles to fit a large variety of applications. Single-adjustable (HQ Series) shocks control rebound (extension) primarily, while a triple-adjustable(TQ Series) shock sets rebound, high-speed compression, and low-speed compression, truly independently. On a TQ shock, the high-speed adjustment allows tuning for impact harshness... potholes, speedbumps, offroad use and other harsh road irregularities that might induce a high-speed excursion of the piston rod. The low-speed adjustment allows tuning of ride quality, as well as the general cornering characteristics of typical road course and racetrack use. TAs are always better, but you’ll pay $400 more for the luxury of tuning how firmly the shock both comes together and pulls apart. 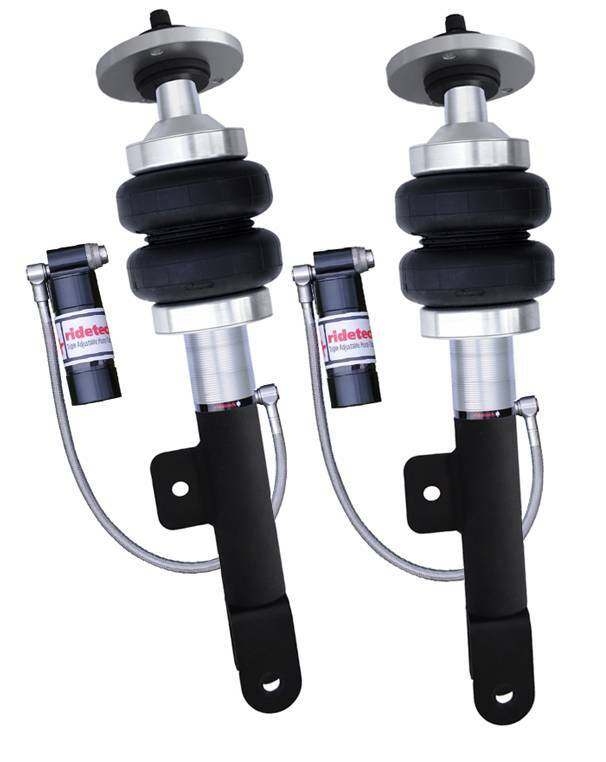 If money is a major concern and you've got a street car, single adjustable shocks are a far preferable choice. But if you find yourself on the autocross or track every other weekend, you'll want to look into the TQ series.